Panchkarma is an integral part of an ancient art of Holistic Healing Ayurveda. It is based on cleansing of biological triads (Vata, Pitta, & Kapha) of body to maintain an optimum state of physiological balance. Ayurveda believes that equilibrium of biological triads sustains health & longevity. Upakarma are associated treatments of Panchkarma that are used to bring out the best of healing powers of the body. Sarvang Abhyanga rejuvenates every part of the body by transporting oxygen to all areas. Shirodhara brings serenity to mind aligning Mind-Body & Soul. Vaman (Induced Vomiting), Virechan (Induced Purgation), Basti (Medicated Enema) are meant for the bodily cleansing through various pre & post operative procedures. Nasya (Nasal Cleansing) is meant for cleansing of biological triads pertaining to head, neck & brain area. Rakta-mokshana (Bloodletting) is meant for those stubborn doshas spread all over the body. Panchkarma along with Yoga, Nature-cure, Physiotherapy & Meditation completes the healing experience at Kayakalp. * Medicated Oil charges will be extra. Above tariff and treatment charges etc. will be applicable from 1st October 2016. Service tax, if applicable, will be charged extra. Pure natural vegetarian food will only be served to the patients as prescribed by the Physician. Tea, Coffee, Cold drinks will not be served. No food can be brought from outside. All treatments will be strictly carried out based on our Doctors’ prescriptions. The patients will not request or seek any type of treatment. 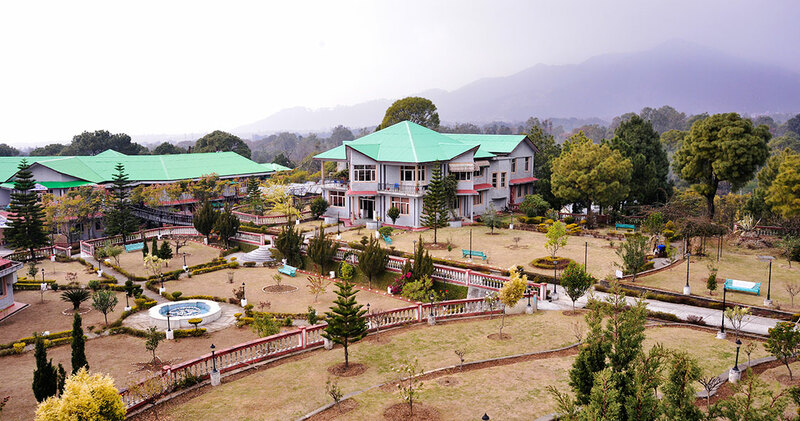 All In-patients will not normally be allowed to go out during their entire stay in this institute except in case of emergency and that too with prior permission of the institute authorities. Since such visits would impinge upon the routine treatment and will be detrimental to their health and speedy recovery, the patients are advised to stay within the institute for the period of treatment. The management reserves the right of discharging any patient without assigning any reasons. We administer the drugless therapy, hence drugs /medicines of any system will have to be discontinued after disclosing the same to the Doctors, who, if considered necessary, will advise tapering of medicine before completely stopping the same. Patients are not allowed to carry their mobiles phones inside the treatment sections. Please do not bring any jewelry /valuables. Cash, in excess, may be deposited on a receipt, with the cashier, for safety. The institute does not take any responsibility for any loss. Patients are advised to look after their belongings themselves during their stay in the institute. The Institute reserves the right to carry out check of the luggage / room of the patient(s) to preclude the chances of eatables/ objectionable materials finding their way in the rooms. (i) Smoking is strictly prohibited in entire campus. (ii) Tobacco products, Drugs, Alcohol, Zarda, Panmasala & Gutka etc. are strictly forbidden. Patients undergoing rejuvenation treatment will be allowed to go out for sight-seeing and visiting temples etc. on permission of the Doctors. Patients above 60 years age are treated as Senior Citizens.